2 Odyssey teachers were selected to join the Busy Bees Inaugural International Talent Exchange Programme in the Staffordshire, United Kingdom last September. 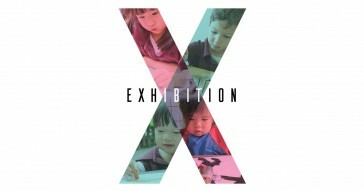 Sophia Koh (Odyssey @ Wilkinson) and Annabelle Chia (Odyssey @ Fourth Ave) were chosen amongst others for their exemplary practice and willingness to share their high quality standards in all aspects of nursery life. 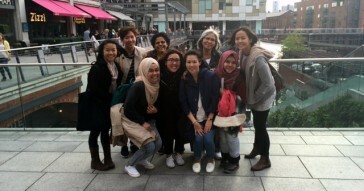 Seven qualified childcare practitioners from Singapore and two from Malaysia will be staying in the UK for a month so that they can get to know more about their Busy Bees peers overseas as well as share best practices. Each practitioner will be undertaking a project while they are in the UK, which will focus on raising standards and sharing practice, not just in their own nursery but also across their region. The projects cover essential aspects of childcare including Forms of Imaginative Play, Exploration of Outdoor Learning, Child Development Analysis and Education and Care for Children Under two years of age. We’d like to take this opportunity to wish all our 2 teachers well and we hope they enjoy every aspect of their working and social time in the UK! For more information on the Talent Exchange Programme, click here.